We will firstly ask some details so we can register you on our secure system. We will then take your pulse, blood pressure and take some measurements such as your height and weight, also take a finger prick blood sample to analyse your cholesterol and maybe your blood sugar. Moving on, we will ask some questions about you, your lifestyle and you and your family’s medical history. With all this information, we can then show you your results and indicate ways that improvements may be made and how further support could be given if required. Following the NHS Health Check, the data and results will be sent securely to your GP. 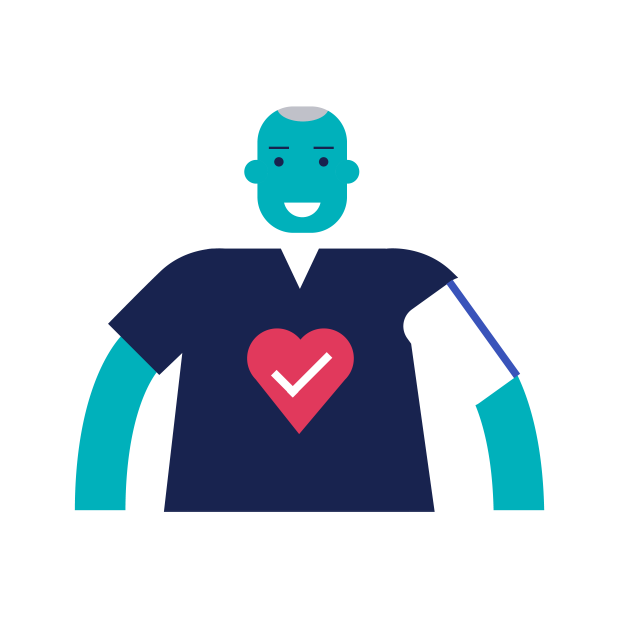 An NHS Health Check can help both prevent and diagnose long term medical conditions such as diabetes, heart disease or stroke, whilst also giving you an insight into your general health. For every 30 to 40 NHS Health Check, one person is diagnosed with hypertension, otherwise known as high blood pressure. For every 6 to 10 NHS Health Checks, one person is identified as being at high-risk cardiovascular disease. Cutting down on salt (to 6g a day) and caffeine. If your cholesterol test shows results outside the healthy range, your health professional will provide advice to help lower your cholesterol through dietary changes. You may also want to contact your GP about available medications for this issue. As part of your health check, you will be given a physical activity score. There is an increasing amount of evidence to suggest that increasing your physical activity levels can reduce your chance of developing conditions such as high blood pressure and even dementia! Men and women are not advised to drink more than 14 units a week. Which is roughly equivalent to 6 pints of beer, or 6 glasses of wine.